Any Other Dog Faced Soldiers Out There? 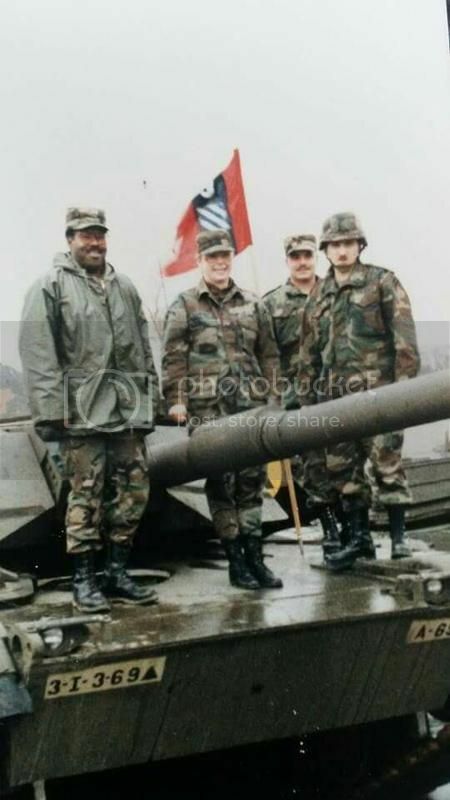 I served in the US Army’s 3rd Infantry Division from 1988-1990, in Würzburg, Federal Republic Of Germany. The Marne Division, as it is known, has a song, “Dog Faced Soldier” dating from WWII, as well as a mascot named Rocky, created in 1965 by none other than Walt Disney, for just $1. Rocky’s name hails from WWI, where 3ID held like a rock during the second Battle of the Marne River. This distinguished service also earned the Division its motto, the French “Nous Resterons La” (English – We Shall Remain Here). I find it rather unfortunate that the song “Dog Faced Soldier” written by two Infantrymen, was altered after the Division moved to Ft Stewart to make it gender neutral. I’d rather be a dog-faced soldier like I am. for I’m the marching pride of Uncle Sam. Well, they’re tearing me down to build me over again. and I eat raw meat for breakfast every day. Of course, the only constant is change. Take for example this version of the song from 1955’s “To Hell And Back”k a movie which tells the story of the most famous Marne Soldier of all, Audie Murphy. The lyrics are different than the version I learned. This entry was posted on Thursday, February 22nd, 2018 at 01:00	and is filed under History. You can follow any responses to this entry through the RSS 2.0 feed. Both comments and pings are currently closed. Lord of NTC rotations, too damn many Marne Focii, and master of the swamps of Fort Stewart. And one deployment to the land of the sand as part of Operation Desert Lewinski. As a local resident of Richmond Hill, GA and a neighbor of many 3ID soldiers, I can proudly say that the tradition and strength of “the rock of the Marne” lives on. Rock of the Marne! B3/7IN!!! Cottonbalers by God! Damn Fine Soldiers! No, but when I went to Ranger School in 1991, 1SG Grenier of C Co 4th RTB called me “dog face” when he jumped on my stomach while doing flutter kicks. I wonder if that would fly nowadays. Have a family member who was 11b, 3ID/24 when that still existed. His Reforger stories are epic. My Mother was stationed over there about the same time period. I have an interesting photo of her that I have linked to. From what I have been told, she was one of the first female tank mechanics in the Army. Great memory. Thanks for sharing. Never served in the 3TD but always had a tremendous amount of respect for the unit. It has an incredible history and the connection to Audie Murphy is timeless. Twice I have served in 3rd ID. Once at Stewart and once at Benning. At Benning there was another song played at the end of PT. OIF 1 – Screaming north, That Division smoked more enemy in such a shorter time period than anyone else, and nobody ever gives them credit for it! 2d BdeHQ and TF B/1-64 AR (B CO was the light infantry startup company in what was an Armor BN Task Force) Desert Rogues, MFMA! 2003-2006. What a humble but super lethal unit, nothing fancy, just a bunch of exceptionally hard working tankers, grunts, and assorted blue collar troops. Marne-tastic Express! Big shout out to whomever recognized Blackhawk Bob Gallagher, none finer, RLTW. Here. B Co. 26th BSB 2nd BDE, 2005-2012. Went to OIF 3, 5, & 7. Yes indeed, i was assigned to 3/4 CAV that transitioned to 3/7 CAV in Schweinfurt. Funny, i learned the Dog Face soldier outside of the CSM’s office as another NCO was in there getting reamed for not knowing it. I was reporting to the unit…but not taking any chances. he made me sing it and scuffed me up for “changing the words”. Was a Dogface Soldier from 1995-1997 with the 1st Raider BDE B 1/15 IN Schweinfurt GE. 2004-2008 with the 3rd Sledgehammer BCT still as a “Can Do” Soldier and again with B 1/15 IN. Many fond memories of the giant Rocky Statue at the Wurzburg Caserne gates and Sledgehammer blasting over the loud speakers @ Benning every morning after PT! I was in 103rd Cco in wurzberg from 88 to 91 as a GSR I also worked at the news paper for about half a year we shared barracks with the LRSD. who were you with? I was in B Btry 5/41 FA from 1993-1995 in Schweinfurt, GE. Great times! My son is currently in 2BDE 3ID at Ft Stewart.